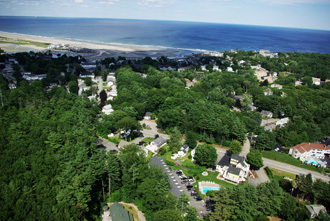 An historic stage post stop has become a first class seaside resort in Ogunquit, Maine. The charming village of Ogunquit, Maine has long been a sought after destination for the traveler looking for a charming New England seaside town that has wonderful restaurants, engaging shops and enough nightlife to entertain even the most jaded city slicker. What has been missing is a place that combines unique Maine charm with all the amenities of a first class resort, until now. Formerly the Playhouse Inn and later the Post Inn, the Admiral’s Inn was originally a stagecoach stop on the old Boston Post Road. As Ogunquit’s oldest bed and breakfast, the Inn had seen better days going through a succession of names and owners, including comedienne Totie Fields and her husband, George. When the current owners, Ken Holmes and Jason Corbin purchased the Inn in May 2004, the classic 1890’s Victorian inn had seen better days. The entire establishment and its sixteen rooms were badly in need of repair. After a whirlwind restoration and expansion growing from sixteen rooms in 2004 to seventy seven rooms in 2011, Corbin and Holmes are getting close to what they have envisioned – a first class seaside resort for southern Maine. 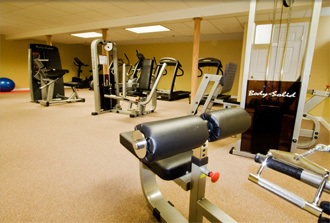 Located just a few minute’s walk from Ogunquit’s lively village center, the “new” Admiral’s Inn has two heated swimming pools, one for adults and one for families, two Jacuzzis, a full gym (not the couple of workout machines that most resorts call a gym), a day spa offering a sauna and massage services, a fire pit that guests gather round on balmy summer evenings and a fabulous new lounge named after the illustrious former owner, Totie Fields. Guests have a range of rooms designed to fit the needs of every traveler. The Admiral’s two suites have one bedroom with king bed, private Jacuzzi, gas fireplace, living room, private bath, color cable TV, refrigerator, individual heat and air conditioning, free wireless internet, free wired internet/data ports, and direct dial telephone service. Some honeymoon suites have private balconies. The king rooms are larger rooms with a king sized bed, private bath, color cable TV, refrigerator, individual heat and air conditioning, free wireless internet, free wired internet/data ports, direct dial telephone service, iron, ironing board. Some rooms have private balconies. The queen rooms have one queen bed, private bath, color cable TV, fridge, iron, ironing board, individual air conditioning, and free wireless internet. Some rooms have private balconies. The large double queen rooms are perfect for parties of two or more who want to share a room but not a bed. A truly unique accommodation is a cute and spacious 1800 square foot house which has three bedrooms each with its own full bathroom with full tub, a living room with a great new gas fireplace, separate family/TV room with DVD/VCR, large modern kitchen, and dining room. The large wrap-around porch is ideal to relax, read a book, and people watch. Two of the three bedrooms have their own decks, and there is also a large deck in the back of the house. 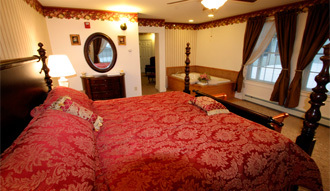 Each of the bedrooms has a queen sized bed, cable TV with remote and individually controlled heat and air conditioner. The well-appointed kitchen has a double oven, dishwasher, disposal, microwave, coffee maker, toaster, and utensils. Free internet and all blankets, pillows, bath towels and linens are provided. You have found your home away from home! 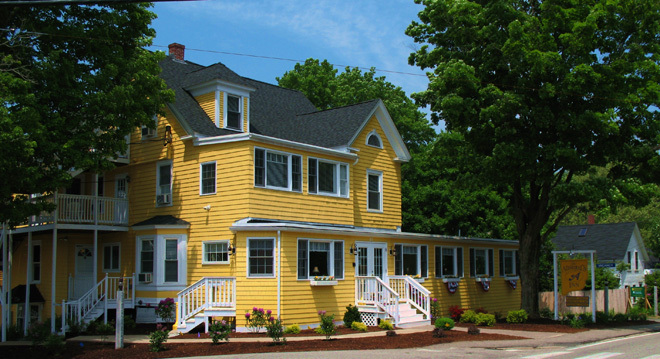 The Admiral’s Inn has become the place to stay for many of the well known actors who are in the greater Ogunquit area to perform at one of the several playhouses and theaters. You might just bump into Sally Struthers, Carson Kressley or Stephanie Powers in the hallway or at the pool. The Inn’s restaurant is a great place for a wholesome breakfast and a quick lunch or dinner. With so many great restaurants in walking distance, Holmes and Corbin just have not gotten to upgrade their dining facility to match the luxury and quality of the rest of the facility. 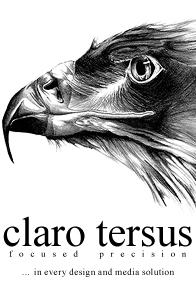 It’s coming though. There a certain unmatched joy and satisfaction in transforming a historic inn into a first class resort. When you stay at the Admiral’s Inn, you’ll learn just what that means. All images appear courtesy of The Admiral's Inn Resort.